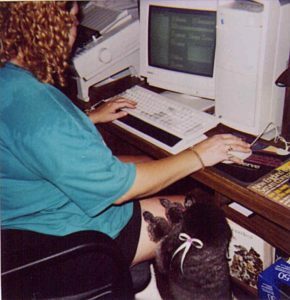 The Pet Grooming Software since 1997 with No recurring fees! Pet Grooming Software designed BY pet groomers FOR pet groomers. we have the easy pet grooming appointment book software for making appointments and keeping records! 21 Years serving Pet Groomers like you! Pet Grooming Software to make your life easier! Unlike other pet business software out there that are confusing, have recurring fees (that gets expensive), and where you could have your client’s data lost or stolen because it’s just sitting there on the World Wide Web; The Groomer’s Write Hand is pleasingly simple to use (try the free demo), has NO RECURRING FEES. Your client’s data stays safe on your own computer when you have The Groomer’s Write Hand on your team. Imagine how you could grow your pet grooming business with The Groomer’s Write Hand! A picture is worth a thousand barks. Just think what a picture of every pet could be worth to you. The Groomer’s Write Hand pet grooming software makes them priceless. Setup Recurring Appointments for each pet and “The Groomer’s Write Hand” will automatically enter the ‘Next Visit’ date for you! Each pet has a section for extra information such as Vet’s Name & Phone number, Allergies, Trouble spots, Color, Groomer & Bather notes, Comment box, and Usual Charge. 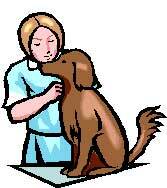 The Usual Charge for each pet will be provided to the register Automatically. Printing reminder cards and Emailing Reminders are a snap with “The Groomer’s Write Hand”. Just click on the client’s name then click on ‘Send’. The address and appointment information are automatically entered for you. Simply type in a comment you may wish to add. Pet Grooming software is what The Groomer’s Write Hand was designed to be. It is NOT beauty salon software that was renamed to be pet grooming software. Not a web-based program. No internet connection is required. Canada friendly, changeable address designations. Popular in Australia. View the screen shots. The program is as easy as it looks! The Groomer’s Write Hand was designed for the Microsoft Windows 7/8/10® desktop/laptop environment and made to be simple to use and affordable. For just $119 (+ S&H) you can computerize your grooming shop with an effective, practical program. Download our pet grooming software free demo now and try it for yourself.